The built-in cardioid condenser records sound sources that are directly in front of the microphone, delivering detail, accurate, full-bodies sound. 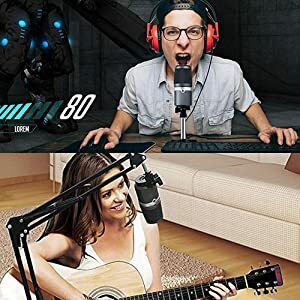 Equipped with a 3.5 mm headphone jack that enables you to either listen to what you’re recording in real-time or what’s playing on your computer, all at the toggle of a switch. 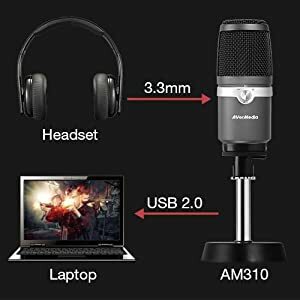 AVerMedia AM310 is a plug and play USB microphone that lets you record high quality sound for podcasting, streaming, gaming, and more. Immerse your audience with clearer, richer, and warmer recorded sound. 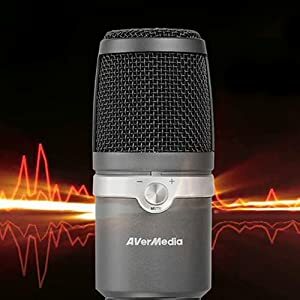 AVerMedia AM310 is designed for music performers and live streamers who long for studio-quality sound. The built-in cardioid condenser records sound sources that are directly in front of the microphone, delivering detail, accurate, full-bodies sound. With its driver-free and plug-and-play design, installing AVerMedia AM310 is a breeze. 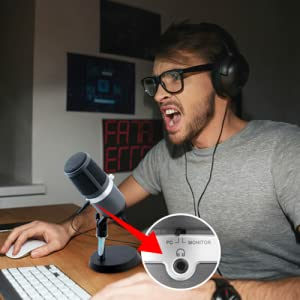 Simply plug it into a USB port on your PC or Mac, and you’re ready to record. 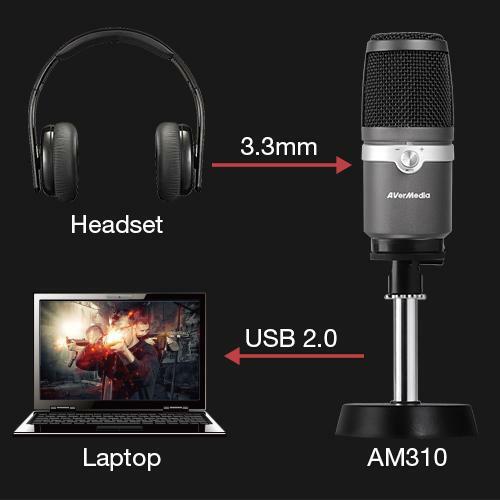 AVerMedia AM310 comes equipped with a 3.5 mm headphone jack that enables you to either listen to what you’re recording in real-time or what’s playing on your computer, all at the toggle of a switch. 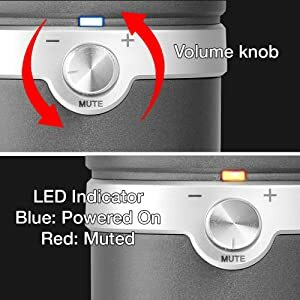 A headphone volume knob with mic mute function is also included for easy control. Volume knob is easy control. LED Blue light indicate Powered On, LED red light indicate Muted. 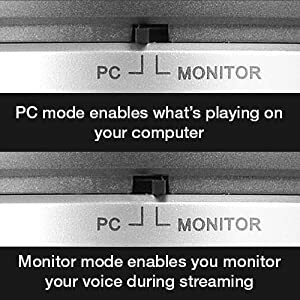 For your live performance, AVerMedia AM310 lets you monitor your voice during streaming. As you plug AVerMedia AM310 into your PC, it will be identified as your Playback/Output device. Just plug in your headphones at the back of AVerMedia AM310 and start your journey.